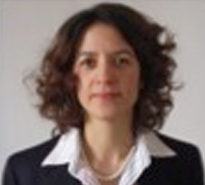 ALESSANDRA GENCO is Vice President Investments, New Initiatives and Portfolio Evaluation at Finmeccanica. Prior to joining Finmeccanica, she lived for seven years in the United States. Alessandra worked for five years for Goldman Sachs as Vice President in the Investment Banking Division in the New York office. Alessandra is a member of the Board of Directors of BredaMenarinibus, a leading player in the bus industry, controlled by Finmeccanica. She is also a member of the Board of Directors of NOVA, the non-profit association of Italians who graduated from top US business schools, and a Board member of the Stanford Italy Alumni Club. She holds an MBA from the Stanford Graduate School of Business (California, USA) and a B.Sc. in Economics from LUISS Guido Carli University (Rome, Italy).